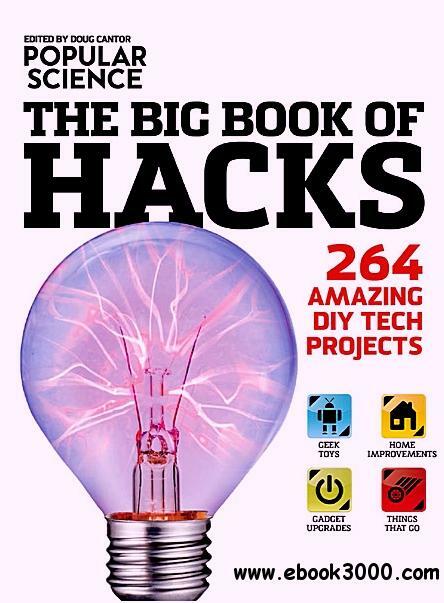 In The Big Book of Hacks, readers will find a compendium of the most rad tech projects around. And with its clever tone, step-by-step instructions, and useful diagrams, it's bound to excite the college students or young fathers-especially any who love using a soldering iron! Four comprehensive chapters help readers create megafun games and toys for the amusement of all; trick out their home with improvised gadgets; upgrade basic electronics and tools like a pro; and build wild and zany vehicles. There's a new movement afoot-a whole generation of makers and tech-savvy innovators who excel at making wild and fascinating projects using electronics and found materials. In The Big Book of Hacks, you get a collection of these amazing ideas from the DIY masters at Popular Science magazine-from a theremin you can make for under $15 to a motorized skateboard, from an epic potato gun to a Roomba that waters your plants. It's never been a better time to be a geek.